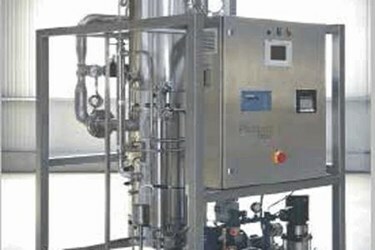 Pure steam is used in sterilization chambers as a common method to sterilize pharmaceutical products, such as equipment parts, instruments, containers and materials for sterile environments. Although regional Pharmacopeias in Europe, Canada, Japan, India and China have minor differences in limits and measurement techniques, they each have similar specifications on pure steam sterilization and Water for Injection (WFI). The US Pharmacopeia (USP) defines pure steam as steam that meets the criteria for WFI when condensed. The European and British Pharmacopeias have similar standards with additional specifications for dryness and the noncondensible gas content allowance. The UK National Health document HTM 2010 and the European Standard EN 285 set limits for noncondensible gases at 3.5% v/v and moisture content <5.0%.